Tiffany & Co have always been praised for its elegance, highest quality materials and effortless luxury. So, there’s no surprise then that their eyewear line would carry over the same levels of craftsmanship and attention to detail. But before we dive into exploring their eyewear collections, let’s cover some historic points for this company to get a better understanding of why they’re known to be one of the top elite designer brands in the world. 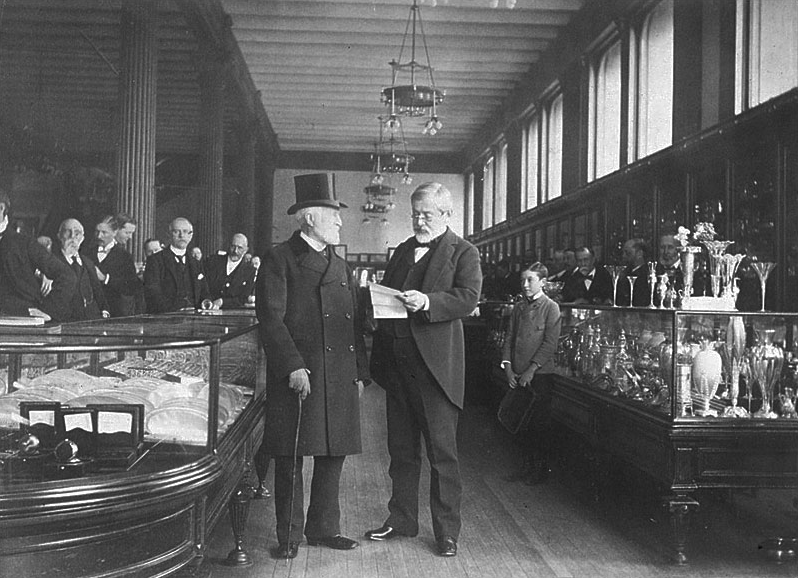 Tiffany was founded by Charles L. Tiffany and John B. Young in 1837, the store originally operated under the name ‘Tiffany, Young and Ellis’ in lower Manhattan, New York. Eventually this was shortened to Tiffany & Co. in 1853 Charles took full control of the company and decided to emphasise the company’s efforts on jewellery. This shop was also one of the first to feature fixed prices on goods to avoid haggling and only took cash payments. Credit purchases were not allowed which was unusual at the time! This was a big turning point for Tiffany & Co as a brand, the focus on jewellery pushed them to be one of the most recognisable brands in the world. In 1870 they built a new store worth $500,000 in Manhattan, this was named as a “Palace of Jewells” by The New York Times. Now, 171 years after the company was launched, the public got to see the company’s first ever Tiffany and Co glasses collection, 2008 marked the launch of Tiffany’s first ever glasses collection under Luxottica. Combining Tiffany’s craftsmanship and attention to detail to the new eyewear collection proved to be an instant hit. Their iconic aqua blue colours and gorgeous packaging transitioned from their other products is instantly recognisable as Tiffany’s. Every frame from Tiffany Glasses has touches of embedded precious jewels that beautifully catch the light. Their classic signature of keys and hearts run effortlessly along the temple of the frame. The frame itself is made from the highest quality accetates and precious metals in their Italian workshops which not only make the frames look glamourous but to also makes each frame extremely durable just like any of their finest jewels. Today, still maintaining its commitment to the finest details of luxury, Tiffany holds almost 300 stores in 22 countries around the world. With sought-after ranges of jewellery, leather goods, silverware and stationary under its auspices, Tiffany and Co glasses has now become a firm feature for the brand. 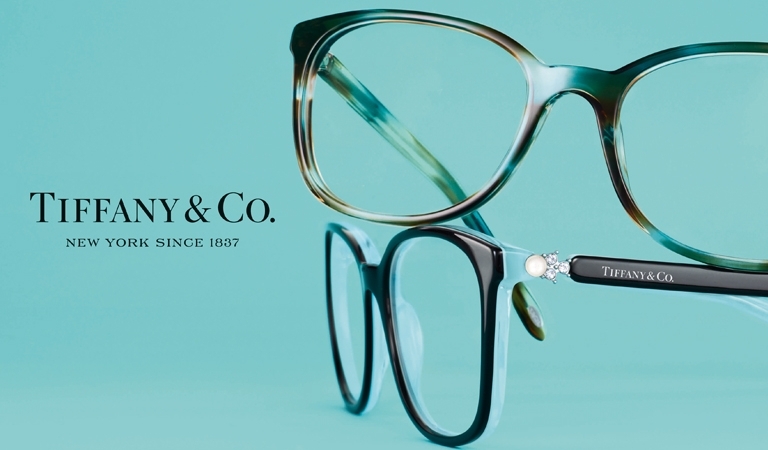 Growing from the brand’s rich legacy, the eyewear collection incorporates all the luxury and charm we’ve come to expect from Tiffany & Co. 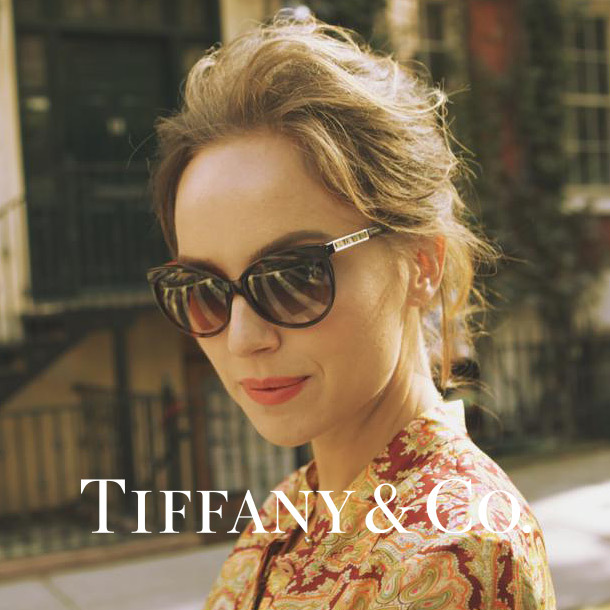 If you’re interested in purchasing or trying on any Tiffany eyewear frames, you can call us on 020 7628 0330. Alternatively, you can book an appointment online here.